B.J. Robinson is Top 100 Amazon Bestselling, award-winning, multi-published author with four traditionally published novels as well as independently published short stories, novellas, and novels. River Oaks Plantation, her first full-length indie, has been on Amazon's bestselling Christian historical novel list as well as the Civil War list. River Oaks Plantation won an Indie Award and was a top three finalist in the Grace Awards for 2013 in the historical romance category. King David and Bethsheba, the wife of one of his soldiers are flawed and humanized through modern language that allows us to reflect upon them as real human beings with the same issues and problems. David blames his youth on not understanding his wives. 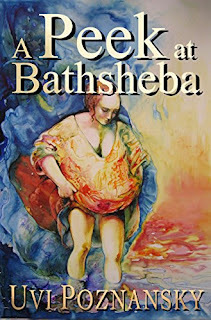 Bethsheba is beautiful and married, forbidden romance, forbidden fruit which makes her only more desirable to King David. He has many wives to deal with and makes me think of how men today would find it hard to please two women, and he had so many to please. He seeks redemption but not in the right way. The author is an expert at taking Biblical stories and translating them into modern language easier for some to understand. Others like the historical and Biblical language. The author's prose is wonderful, and she is a prolific writer when it comes to this type of book. If you enjoy seeing Biblical historical figures in an everyday light using modern language, this is the series of books for you!